Billions drink its sodas, listen to its music, breathe its air, drive its cars, smoke its tobacco, practice its religions, watch its movies, ingest its drugs, and benefit or suffer from its policies. At a time of global crisis, Empire rallies a coalition of artists, designers, and writers, to protest the mysterious, all-powerful phenomenon that dominates our civilization. 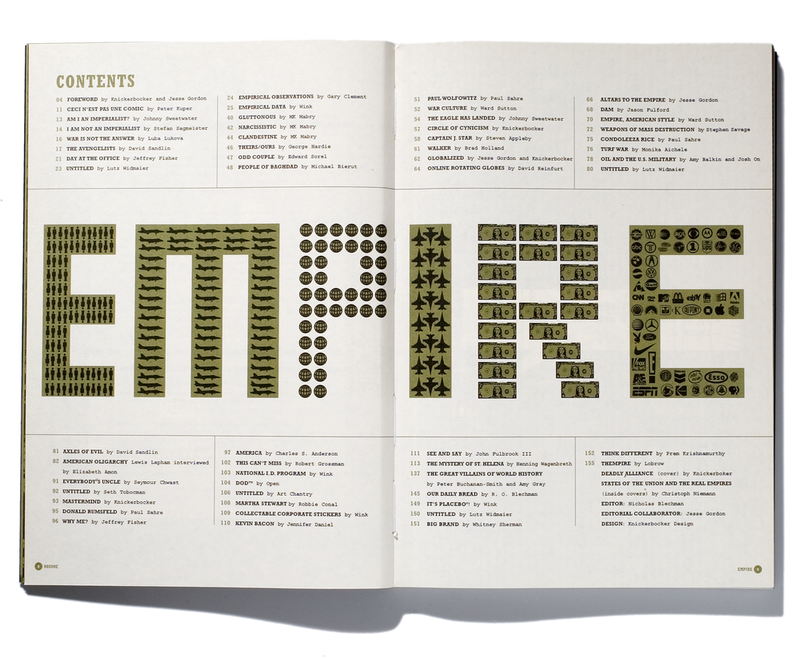 Empire is the first book based on the award-winning alternative political graphic magazine, Nozone.